Your dinner with friends & family is truly making a difference. You’re supporting research that will save lives from the most common cancers affecting our community. 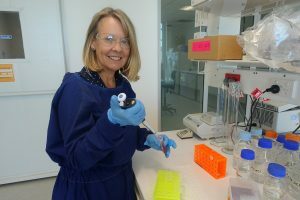 Dr. Theresa Hickey from the Dame Roma Mitchell Cancer Research Laboratories at the University of Adelaide is pioneering vital research to better understand why patients develop therapy resistance in the hopes of crafting new treatment strategies to combat this fatal form of the disease. 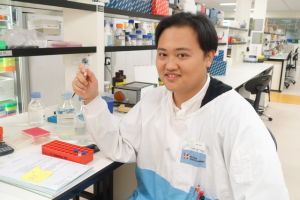 Researchers at the Centre for Cancer Biology have identified that high levels of a protein (called quaking) plays a key role in the bad prognosis of prostate cancer tumours that have become resistant to chemotherapy and other treatments. They have also found this protein is higher in patients with prostate cancer that goes on to spread to other parts of the body, becoming more difficult to treat. 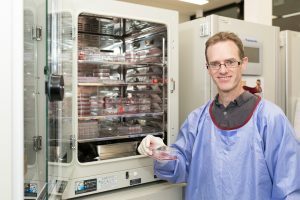 Dr. Kevin Fenix from The Basil Hetzel Institute for Translational Health Research is investigating a group of immune cells that could be a key target to predict whether a patient’s bowel cancer is likely to spread.